Airport West’s Maureen Murphy (left) with Keilor colleague David. 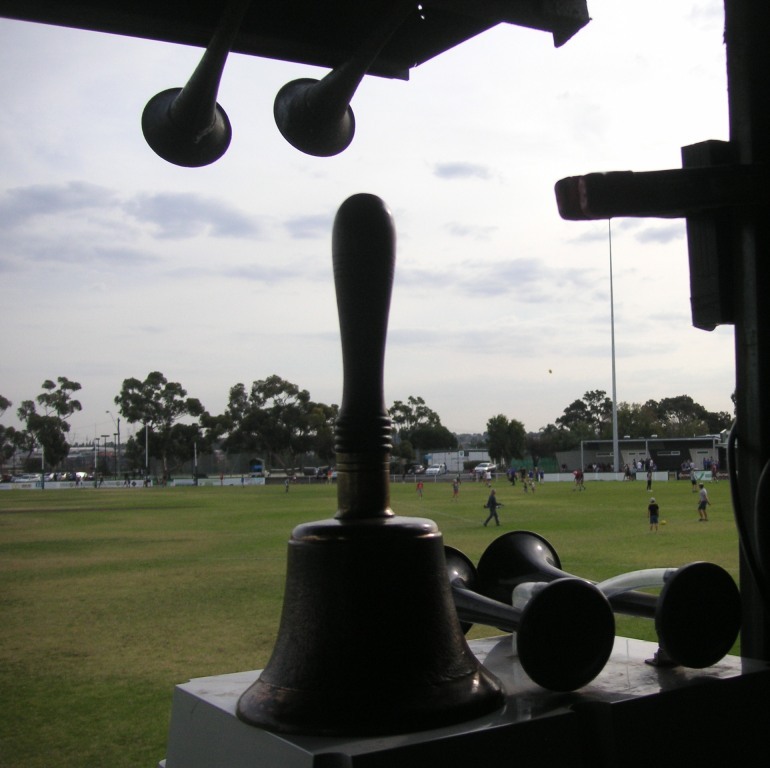 Everything is at arm’s length inside the late 1960s scoreboard at Hansen Reserve, Airport West: the old black and white numbers, the newish computer, the timekeeper clocks, the timesheets, the siren, the old bell, the spare footballs. 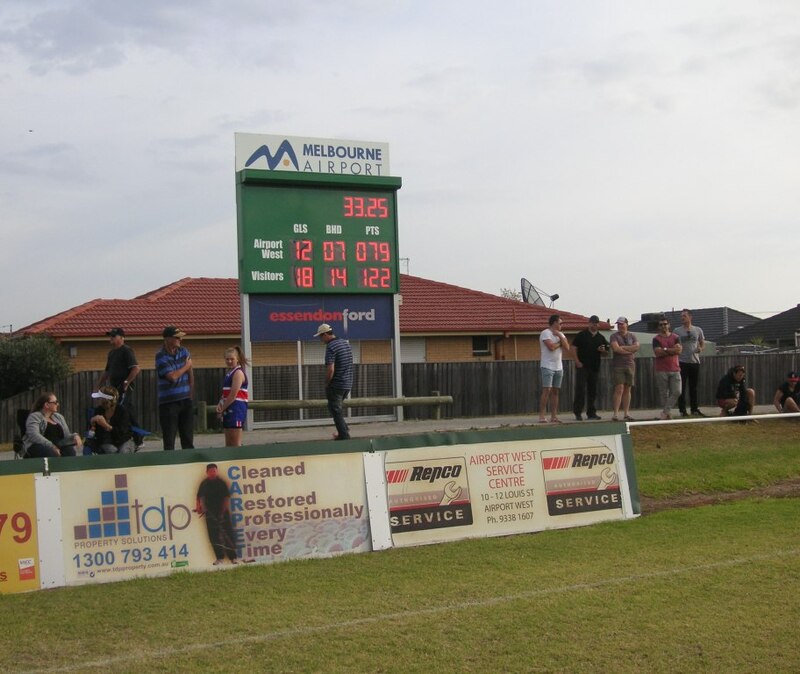 When the club acquired an electronic scoreboard three seasons ago, courtesy of the City of Moonee Valley, Maureen found herself in charge of that too. 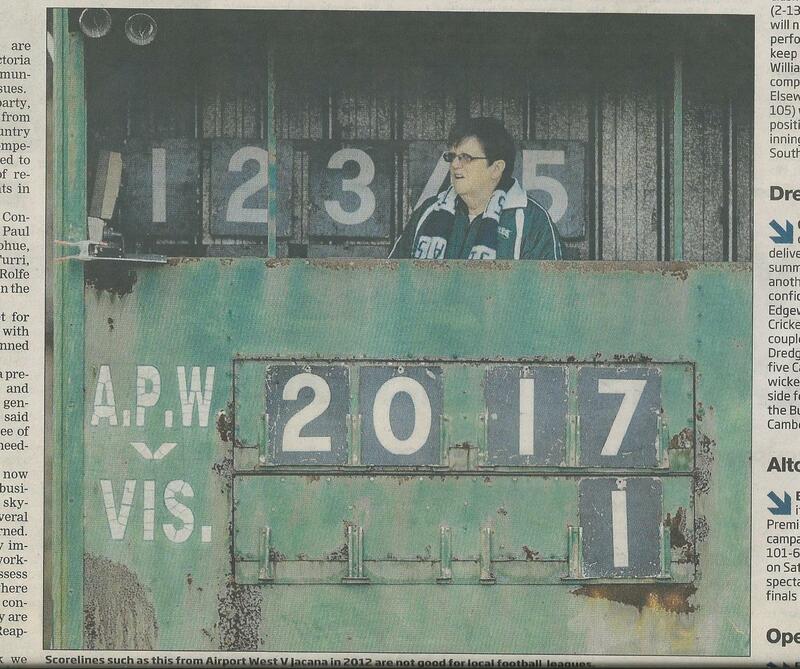 She works closely with the opposition timekeeper: practically in terms of their mutual responsibilities; literally in terms of the cosiness of the scoreboard. 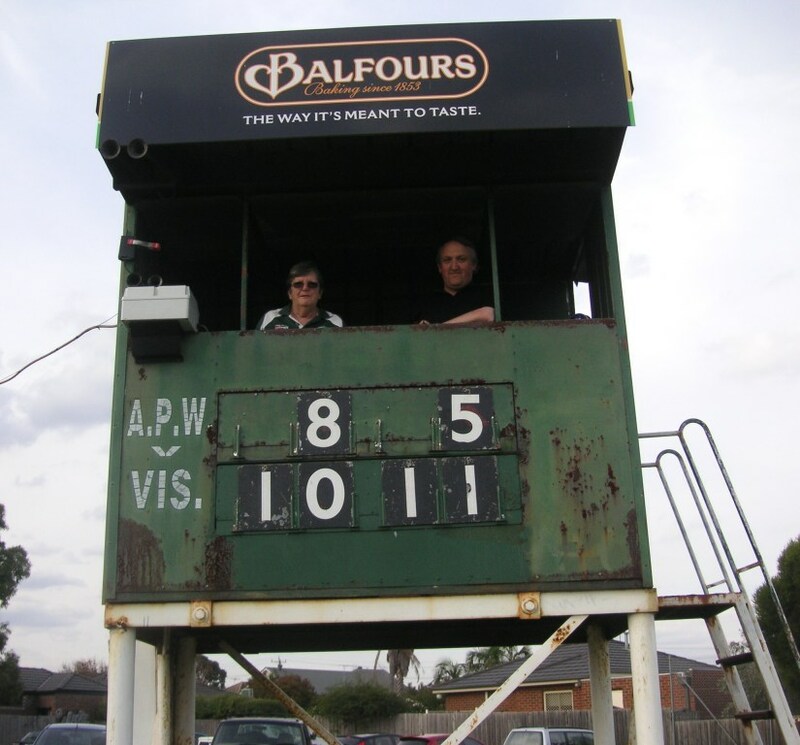 When Scoreboard Pressure visited for the Eagles’ game against Keilor, Maureen had David for company. “We’ got a good system going here, David and I,” Maureen said, in-between watching for signals from field, boundary and goal umpires. Maureen’s elevated office has, she says, “all the mod cons”. These include a little electric fan heater and quality carpet from the Murphy home. 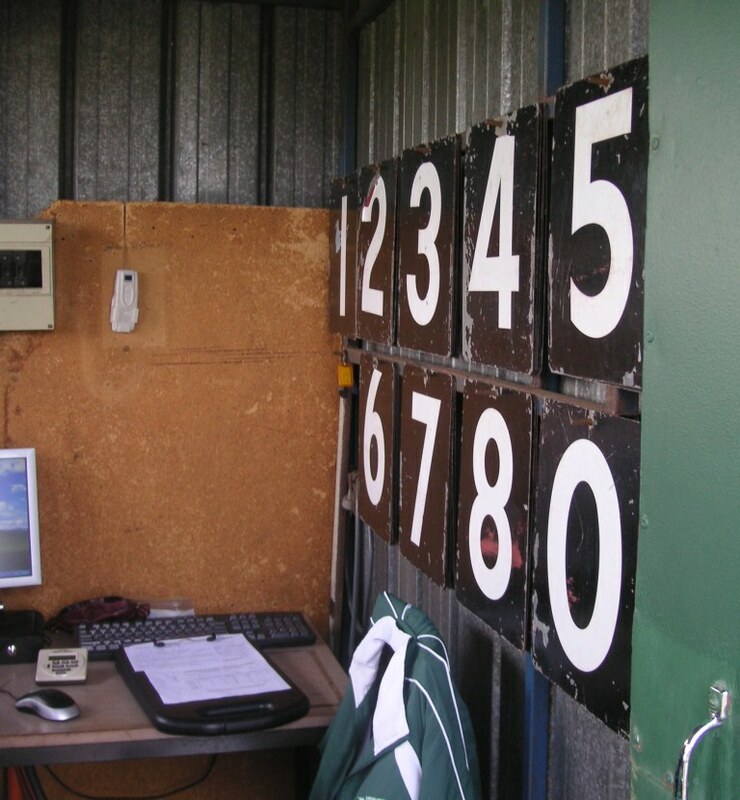 It’s probably the only scoreboard in Australia with Axminster flooring. Football is very much in the Murphy family. Daughter Jacqui is the orange-girl and scoreboard attendant for for the Seagulls, and husband Jim is a stalwart of both clubs. 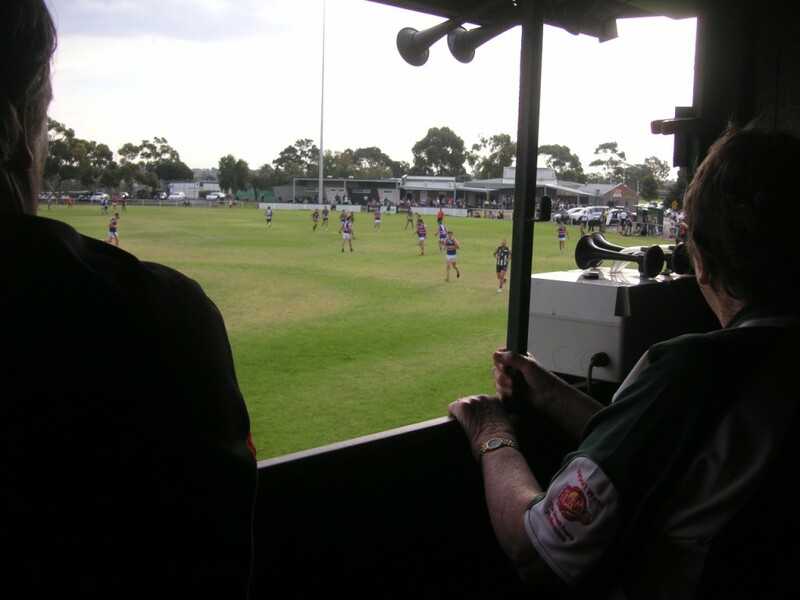 (At the end of the Airport West v Keilor game, it was Jim who walked across the ground in the fading light to turn off and lock up the electronic scoreboard.) 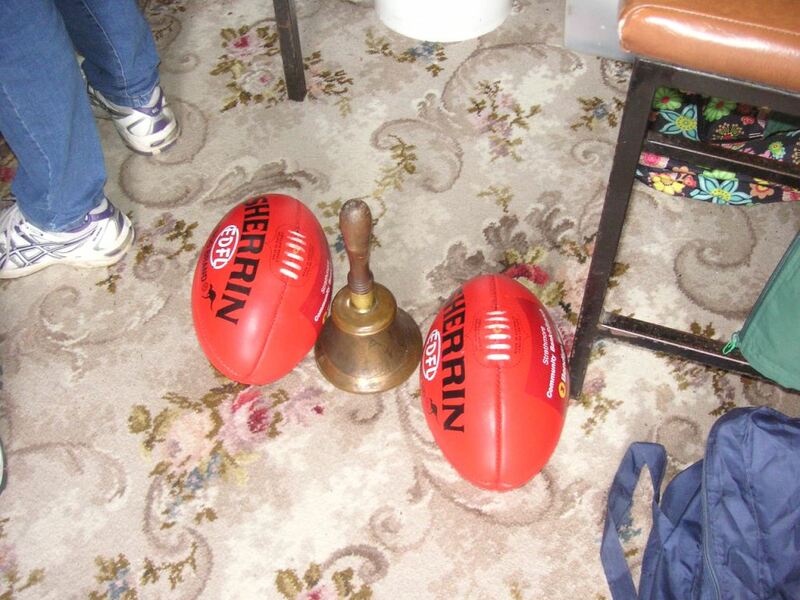 Maureen is a life member of both the Airport West Football Club and FIDA (the Football Integration Development Association). 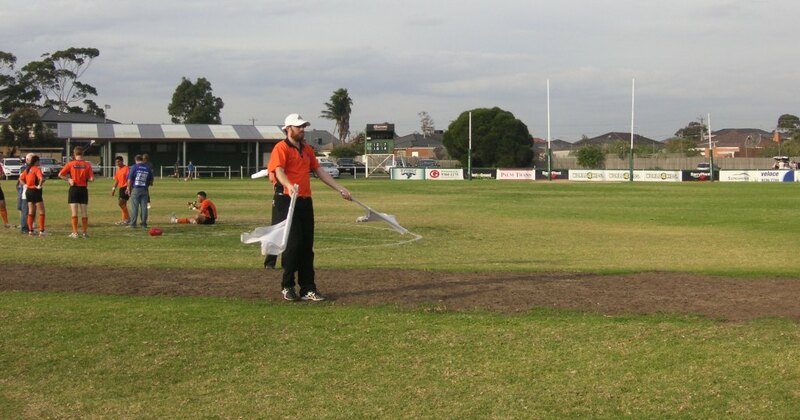 Airport West play in A grade in the Essendon & District Football League, on Woi-wurrung land. The club was formed in 1961. 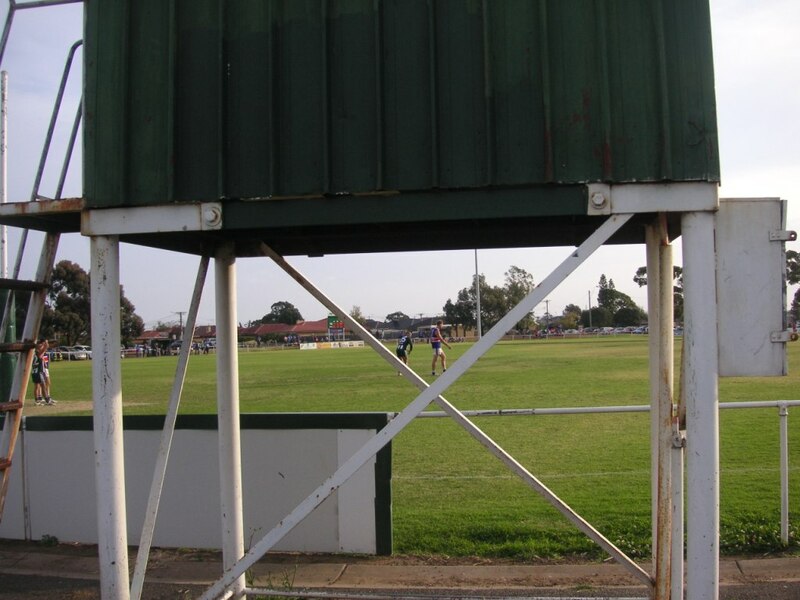 Hansen Reserve, which has two ovals, was once part of a sheep station run by the Sedderley family. This is a lovely story Vin. 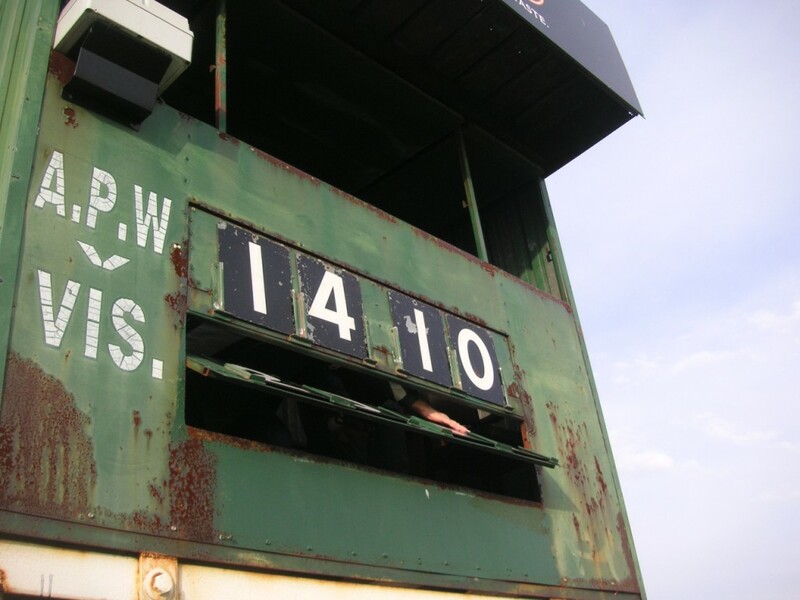 I love the old scoreboard. It’s a beauty! 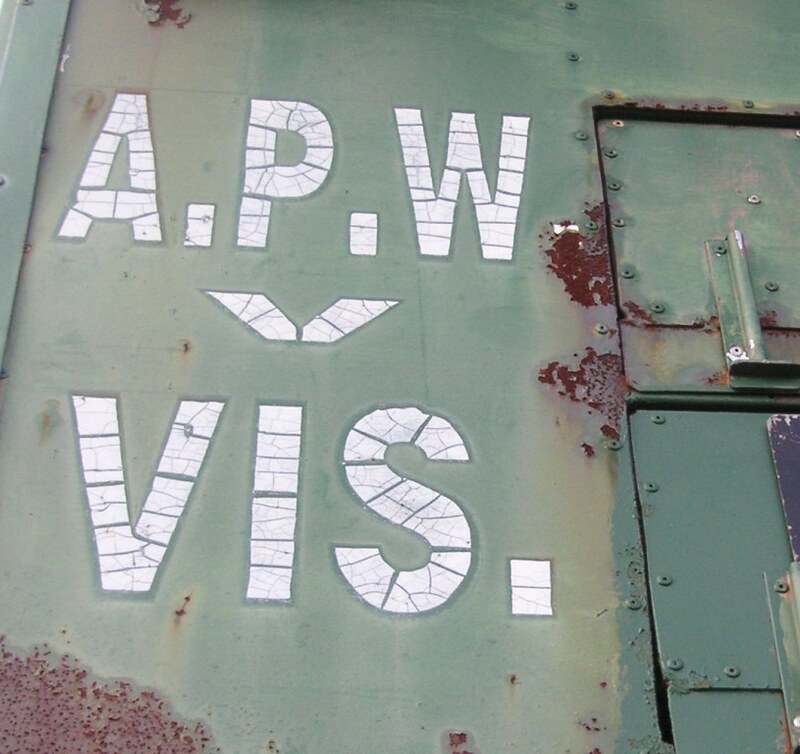 Was the suburb ever known as Air Port West, hence the A.P.W?